The index opened weak and stayed weak closing near the lows of the day at 88866.70, loss of 85.80 points. The broader market was weak with 560 advances to 1056 declines. Range stays at 8600-9000. Call option 8800-9400 added 19.42 lacs OI with profit booking at 9500 and above strike prices. 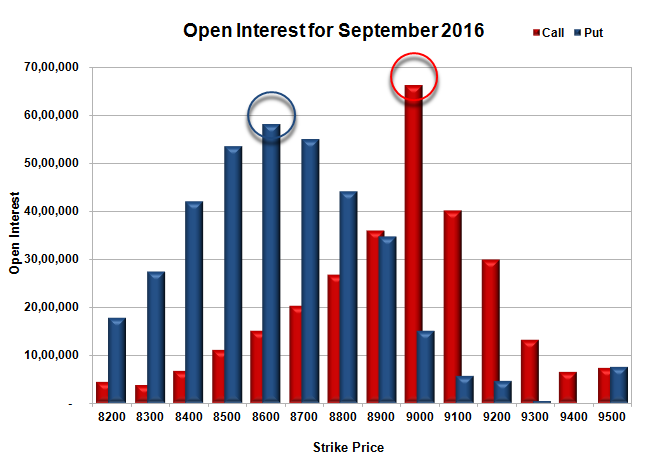 Put option 9200 added 0.42 lacs OI with short covering at 8800 and above strike prices. Nifty Open Interest is at 3,34,35,600 down by 9,12,375, with decrease in price, probably huge long liquidation. Bank Nifty Open Interest is at 27,32,280 down by 1,61,600, with decrease in price, probably huge long liquidation. FII’s sold 6122 contracts of Index Futures, which includes net 6466 contracts long liquidation and 344 contracts short covering, with decrease in net OI by 6810 contracts, includes 28572 longs to 34694 shorts for the day. FII’s Index future open contract as on date is 404183 Longs to 52065 Shorts, Net long 352118 contracts. 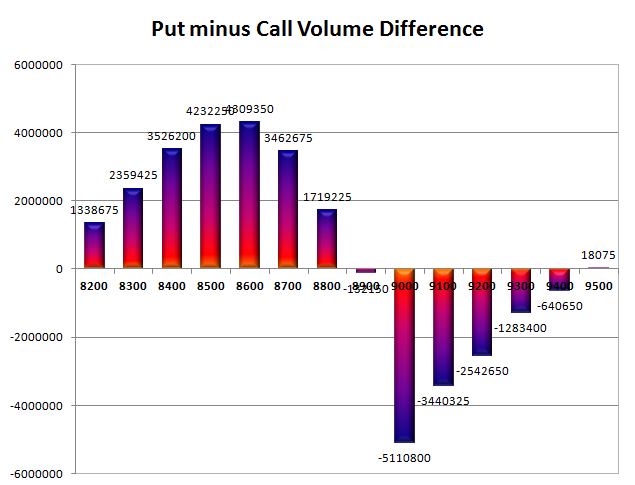 Initial support at 8800, with OI of 44.10 lacs and below that at 8700 with OI of 55.00 lacs. 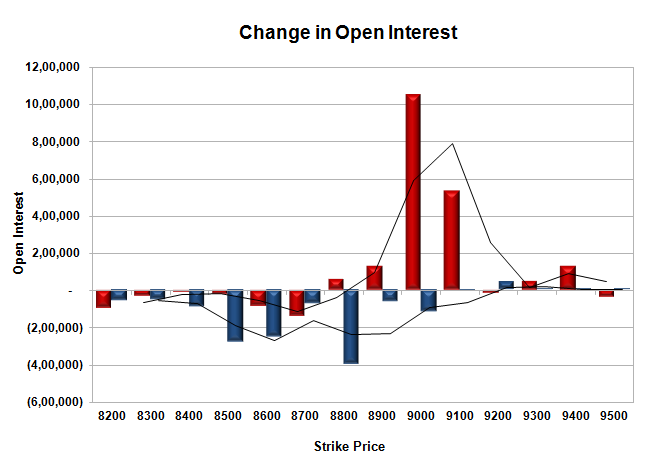 Initial resistance at 9000, with OI of 36.04 lacs and above that at 9000 with highest OI of 66.33 lacs. Day Range as per Option Table is 8824 - 8941 and as per VIX is 8805 - 8928 with 8888 as the Pivot.